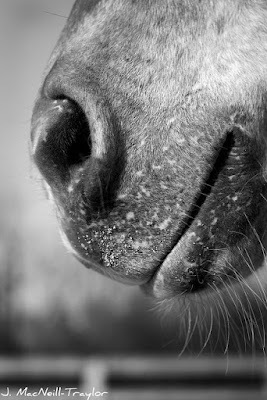 A Year of Being Here: Robert Wrigley: "Kissing a Horse"
"Kissing a Horse" by Robert Wrigley, as published in Earthly Meditations: New and Selected Poems (Penguin Books, 2006). © Robert Wrigley. Reprinted by permission of the poet. The poet has also been kind enough to share links to additional poems at Numéro Cinq and The New Yorker. Art credit: "Subtle Smile," photograph by Jennifer MacNeill-Traylor.